Just up the hill from the Rosslyn entrance to Arlington National Cemetery are about 3,800 civilian graves. These graves hold black persons who lived in Freedman's Village, a village set up in 1863 for blacks who fled from slavery. 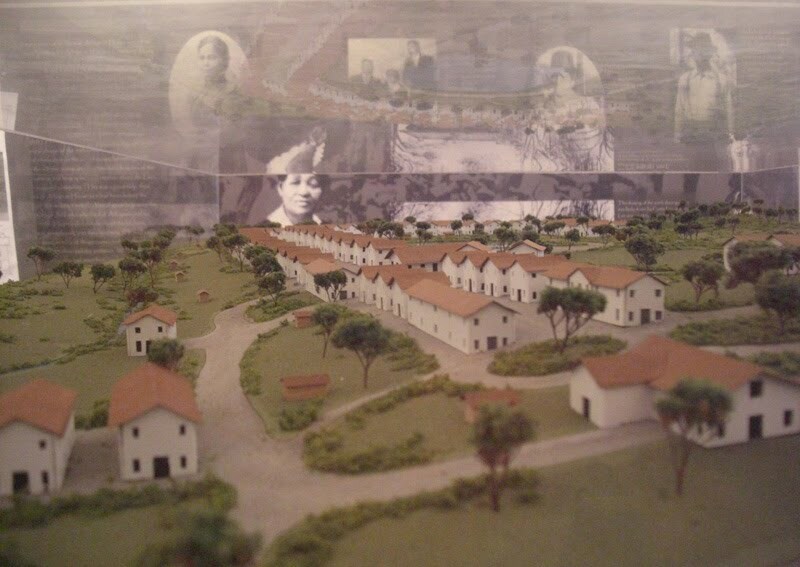 Freedman's Village grew into a bustling black community. But in 1887, the U.S. government took over Freedman's Village. It ordered all the residents to leave and paid them $75,000 in compensation for the buildings and property. In 1900, all the buildings were demolished. 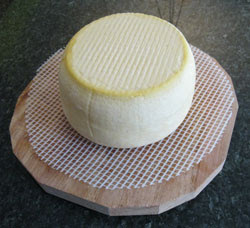 The exact site of the village is not presently known. 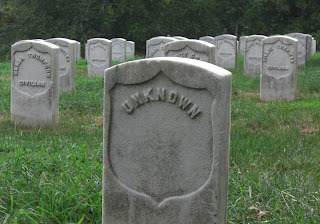 It is thought to have been on the southern part of Arlington Cemetery, near the Navy Annex. Why then are the graves of Freedman's Village residents on the northern edge of Arlington Cemetery, near Rosslyn? I suspect that the residents of Freedman's Village chose the finest location on the Arlington Estate, other than the site of the Custis-Lee Mansion, to build the most important church for the community. Near that church they built a cemetery. The finest available location on the Arlington Estate, not surprisingly, was near Rosslyn. The Black Heritage Museum of Arlington is working to preserve and present the history of Freedman's Village and more generally the black heritage of Arlington. Mount Zion Baptist Church, Lomax African Episcopal Zion Church, and Mount Olive Baptist Church are Arlington churches with direct roots in Freedman's Village. Former residents of Freedman's Village and their descendants established the present-day Arlington neighborhoods of Arlington View, Butler-Holmes, Halls’s Hill and Nauck. Rosslyn about 1900 was a rather disreputable site of gambling houses and salons, so it did not attract respectable black neighborhoods like these. Circumstances in Rosslyn, of course, have changed greatly, and now the area attracts many groups, including highly cultured Mongolians. 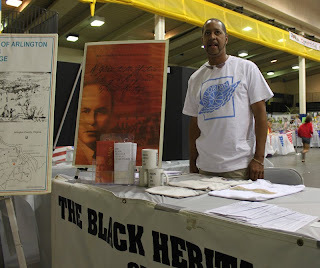 At the Black Heritage Museum booth at the Arlington County Fair, Craig Syphax told me about plans for the museum. Right now Arlington black history documents and artifacts fill a room at the Arlington Central Library. Mr. Syphax said that the Central Library will not accept any more material, but people keep bringing historical material to Black Heritage leaders. They need a place to put the collection. A museum is planned for the Naval Annex site on Columbia Pike, but when it will be built and opened is not yet known. 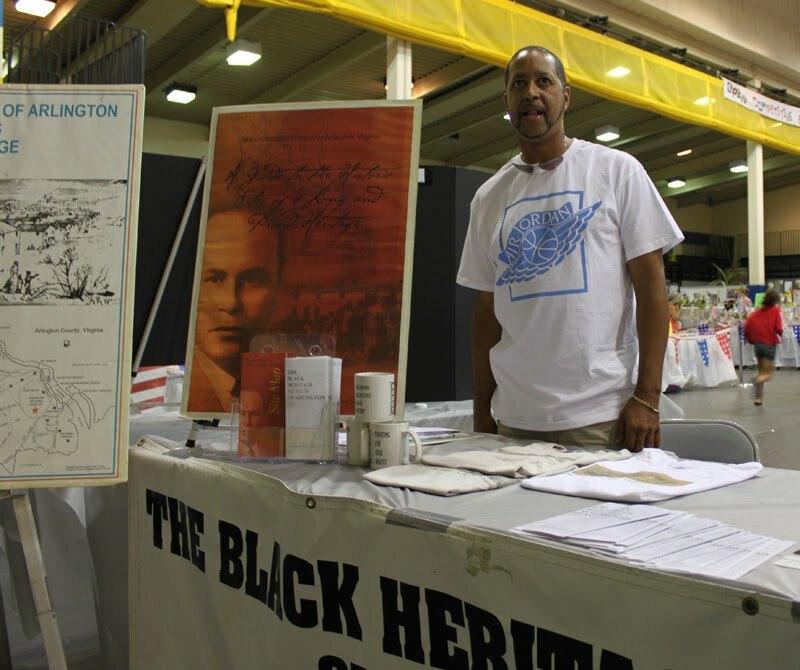 The Black Heritage Museum is currently looking for members to work to advance the mission of the museum and financial contributions to help make it happen. Mr. Syphax did not mention his family history, but I learned from a page on the Black Heritage Museum website that he is a member of an illustrious family that has resided near Rosslyn for more than two centuries. The black heritage of Arlington should not be unknown. THIS ARTICLE IS INCREDIBLE I AM INERESTED IN LEARNING MORE ABOUT FREEDMANS VILLIAGE AND QUEENS TOWN AS WELL HOW CAN I CONTACT YOU?